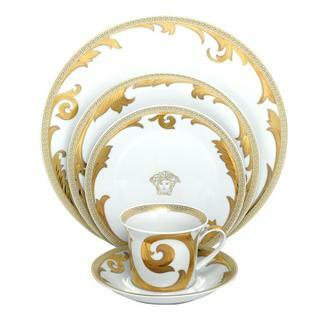 House of Papier’s Über-Fabulous Pick #3 is this Arabesque Gold Versace tableware. This place setting is ideal for an over the top event and can only be appreciated by the opulent at heart. You can find it at Michael C. Fina. This entry was posted in Papier's Uber-Fabulous Picks! and tagged Event, Fabulous, Uber Fabulous, Versace Tableware. Bookmark the permalink.